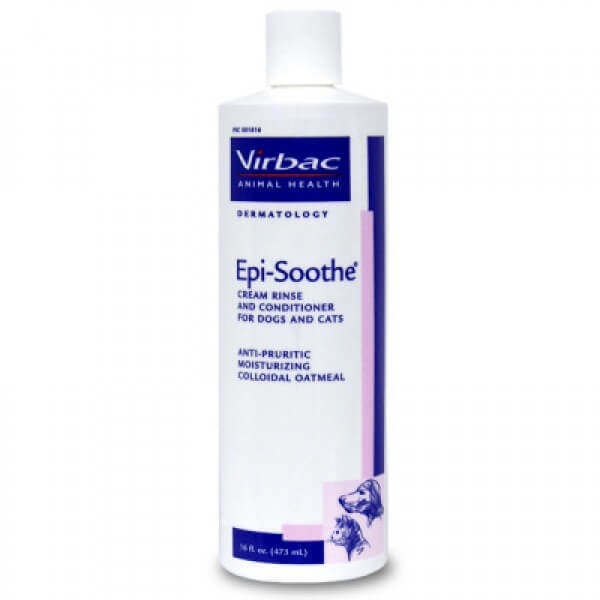 Epi-Soothe Conditioner is designed to be used in cats and dogs after shampooing, to soothe, relieve and restore inflamed or dry skin and leave your pet smelling great! The product is a great accompaniment to Epi-Soothe Shampoo, to make fur more manageable and easier to comb, and softer with less static. Epi-Soothe Conditioner is soap-free and pH balanced for normal canine skin. The product has a great smell, especially designed for indoor pets. Epi-Soothe Conditioner contains 20% colloidal oatmeal.